Concerned about something happening in Rockport? Want to let the city officials have a piece of your mind? 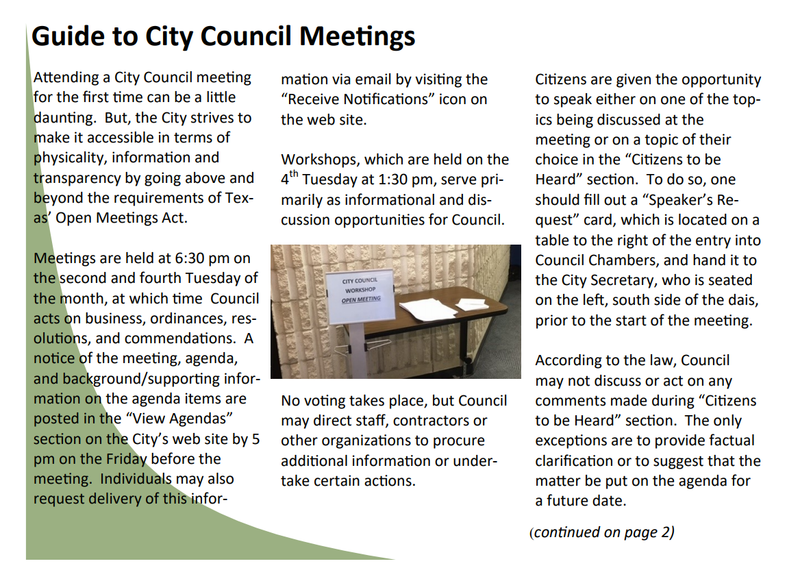 Residents of Rockport are encouraged to participate during City Council meetings during the Citizens to be Heard agenda item. 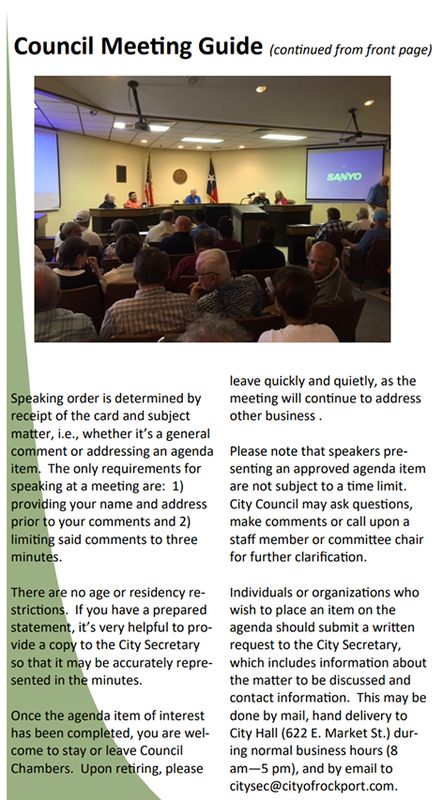 The following information was published in the Summer 2017 Rockport Transcript and lets residents know the rules of the game. Don't be shy! Speak up!